November 5, 2018 – Kosmos Energy announced today the winners of the Kosmos Innovation Center (KIC) 2018 AgriTech Challenge, a business competition where young entrepreneurs use innovation and information communication technology (ICT) to develop commercial solutions to challenges within the agriculture sector. More than 400 young people applied to be part of the 2018 AgriTech Challenge, out of which 200 were shortlisted and interviewed, and a final 120 entrepreneurs were selected to compete. The eight finalists have had nine months of customized skills and capacity building, individual coaching and expert mentorship to help develop their innovative ideas. A series of market research tours also gave participants first-hand knowledge of the challenges faced by the agricultural sector in Ghana today. The teams made it through three elimination rounds where they had to pitch their businesses to an expert panel of judges. TechShelta: Provides technological support to greenhouse farmers in Ghana and beyond to help them optimize production. Their system enables farmers to control humidity in their greenhouses, and record and monitor their operations in real time. Profish: Provides “Lojaanor” (‘Fish Market’ in the Ga language), a platform which facilitates the sale and delivery of fish to bulk purchasers, such as restaurants and fishmongers. Their technology also improves on existing storage and delivery systems. For the past three months, all finalists have had additional technical training and in-kind support to further refine both their business plans and to develop and test working prototypes of their products. This additional support from Kosmos Energy to all finalists has enabled the teams to deliver a proof of concept and made the teams investment ready. This year the KIC programme has also attracted additional investment from two of its program partners, DAI ($20,000) and the Meltwater Entrepreneurial School of Technology ($100,000), to fund an additional three business teams. 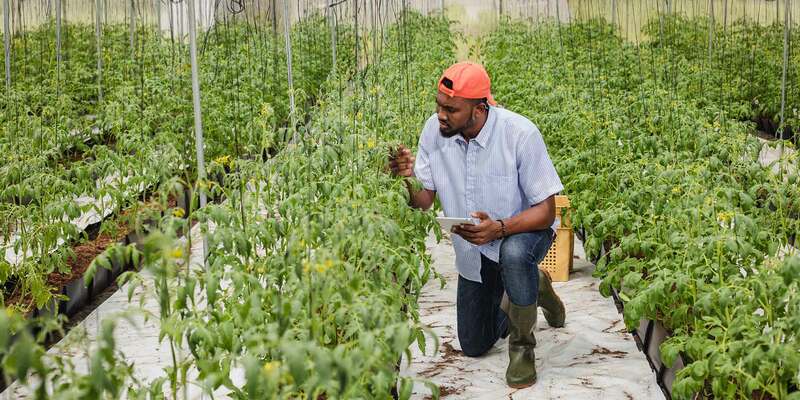 This brings the number of business teams receiving start-up and development investment funding at the end of the 2018 AgriTech Challenge to a total of five. – Soil Solutions: Provides a “do it yourself” test kit for commercial and smallholder farmers. This will help farmers to understand the exact nutrient makeup of their soil and apply the appropriate nutrient replantation method. – Kwidex: Provides a crowdfunding platform to help small holder farmers access credit. – Growth Factor: Provides “nvoicia”, a platform that enables agribusinesses to get their invoices paid in a timely fashion to improve their cash flow. Kosmos Energy Vice President and Country Manager Joe Mensah said: “We are delighted to be driving innovation in Ghana’s agricultural sector. The size of the opportunity to transform the sector is demonstrated by the ongoing popularity of the AgriTech Challenge with young people and by the scale of support the program continues to receive from government representatives, business partners and the local community. Applications to the 2019 KIC AgriTech Challenge closes on 30th November 2018. All interested young people and future entrepreneurs are encouraged to find out more and apply through the Kosmos Innovation Center website (www.kosmosinnovationcenter.com). Other companies or partners that want to be involved in supporting the work of the KIC are also encouraged to make contact.